Provide comfort for the family of Cheryl Moncrieffe with a meaningful gesture of sympathy. Pastor Cheryl A. Moncrieffe (McGregor), daughter of the late Courtney McGregor and Venus McGregor-Lowe (Gayle) was born July 5, 1964 in St. Andrew Jamaica, West Indies. She attended Pembroke Hall Primary and St. Hughes High School in Jamaica. Pastor Cheryl finished her secondary school career by graduating from Christopher Columbus High in New York city. Pastor Cheryl graduated with a Bachelor of Science degree in Biblical Studies from Grand Canyon University. 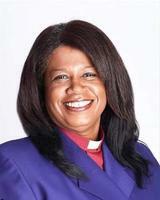 Pastor Cheryl rededicated her life to Christ in 2002 under the leadership of Bishop M.L. Jackson at Mount Zion Missionary Baptist Church, Hinesville, GA. Pastor Cheryl was ordained a deaconess at the Mount Zion Outreaches Ministries Glenville, Georgia under the leadership of Apostle Bobbie J Adkins. She was called to Pastor alongside her husband in August of 2013 where they launched Measure of Faith Church in Stamford, Ct. She has served in numerous capacities within the church from Sunday school teacher to Pastor. She was installed as Pastor of Measure of Faith Church in Stamford Connecticut in June of 2016. She was united in holy matrimony to Bishop Stuart A. Moncrieffe December of 1985. This union was blessed with 3 children William Alexander; Kenia Ashlei and Stuart “AJ”. Pastor Cheryl’s passion was caring for women who were hurting which was evident in her current assignment at the House of Ruth Maryland. As a result of her generous spirit and pleasant personality, she was loved by many. Her Christian life was as beautiful as the plants that she loved so well, and her influence will forever remain in the lives of all who knew her. Pastor Cheryl quietly departed this life Saturday, March 30, 2019 at Union Hospital in Elkton, Maryland. To plant a memorial tree in honor of Cheryl Ann-Marie Moncrieffe, please visit our Heartfelt Sympathies Store. Donations are being accepted for: HOUSE OF RUTH MARYLAND INC. I am shocked and truly sadden that I have to speak of the passing of my friend and sister Cheryl Moncrieffe. My husband and I pray for Bishop Stuart Moncrieffe and their children and send our condolences to them and their entire family. God blessed us to be very close when we were young in our military wife-life as our husbands proudly served our country; and we bonded in a friendship that lasted over three decades. Cheryl always had a bubbly, beautiful spirit. She was always the one to keep you on point and lifted up. Her smile alone could brighten up a cloudy day all by itself! Cheryl can Rest In Heaven now and though it hurts to lose her; we know she's now with our Lord. With our Love and Prayers Erica And Quinton Dorris.